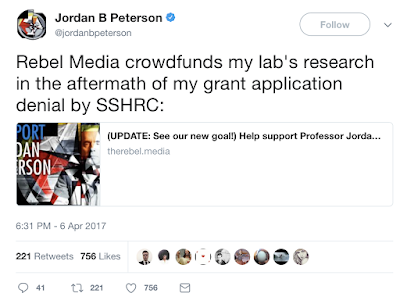 Those who don't understand what a vehicle for the alt-right Quillette is need only look at its latest top story - a defense of Jordan B. Peterson. Apparently he was interviewed by someone who didn't do her homework. It was while I was watching Channel 4 news presenter Cathy Newman’s spectacularly disastrous interview with University of Toronto professor Jordan Peterson that what was wrong with much of journalism today crystallized in my brain. I’d been oscillating between anger and frustration watching Canadian media fail again and again – and often in jaw-dropping fashion – in reporting on Peterson and I couldn’t quite establish what was going wrong. We know that alt-right Claire Lehmann who runs Quillette is in thick with Canadian alt-right Rebel Media, created by alt-right wingnut Trudeau-obsessive Ezra Levant (read about his unhinged attack on the Trudeau family here) who also has employed at one time or another Milo Yiannapoulos, Gavin McInnes (Yiannapoulos & McInnes share a kiss on Rebel Media's channel here) Mike Cernovich and a whole bunch of other alt-right creeps. 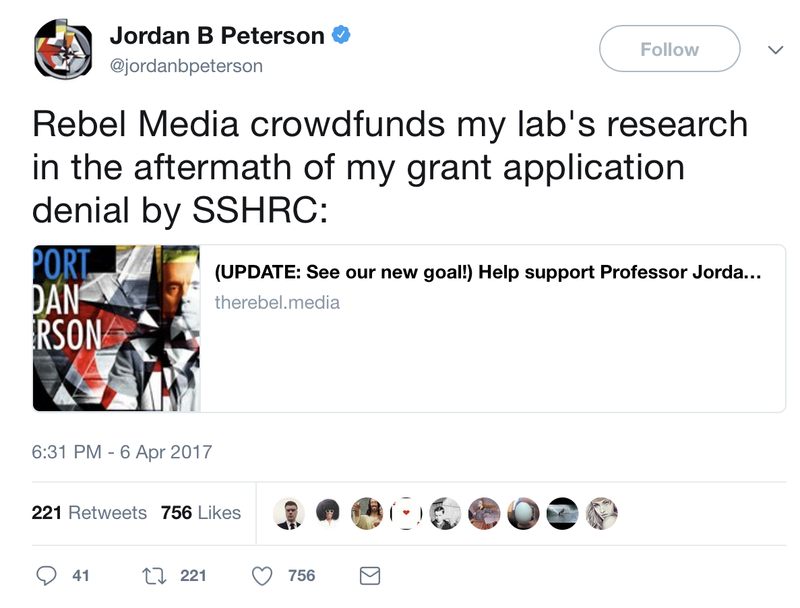 Turns out, no surprise, that Jordan B. Peterson is tight with Rebel Media too. Peterson is a ridiculous hack whose claims about lobsters and humans were taken apart by biologist P. Z. Myers here and here and Peterson's bad faith arguments are taken apart by Peter Coffin. But obviously if you are going to be impressed by Quillette you aren't going to have the critical thinking skills to understand what Myers and Coffin are talking about. You're just going to assume that any critics of Peterson are part of the nefarious anti-science, anti-truth cabal that Steven Pinker likes to allude to.